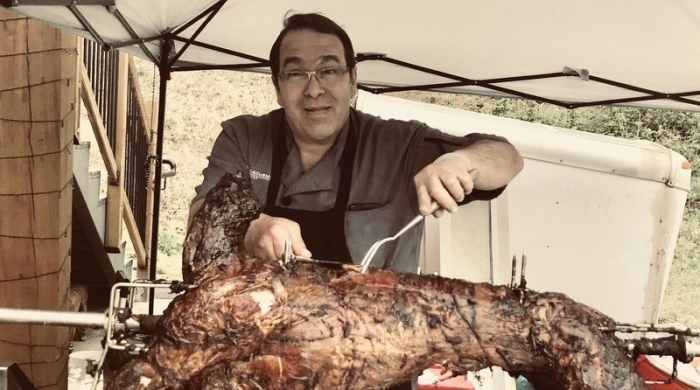 Two full lambs to roast and 140 wedding guests to serve? Challenge accepted! Emily Campbell & Aksel Bourdages - the lovely couple. We started of course with the roasted lambs! 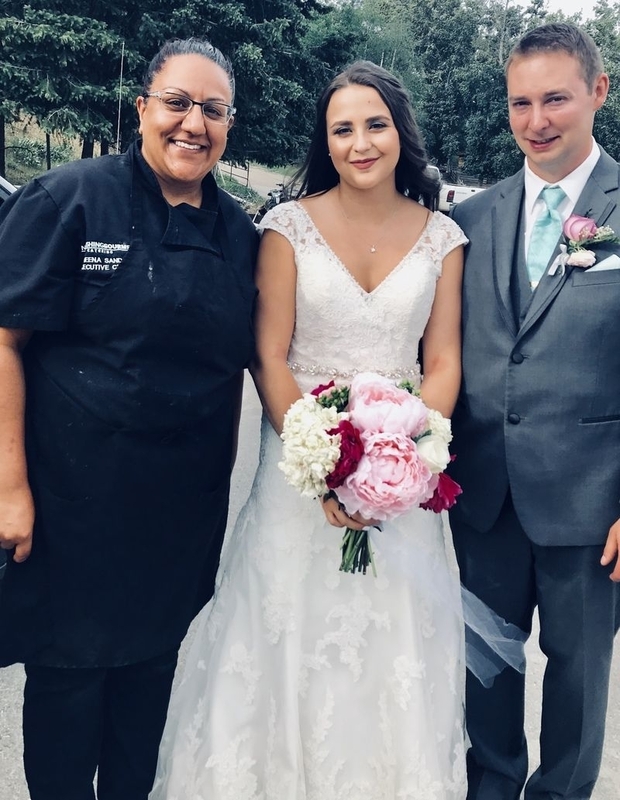 Provided by Sullindeo Farms in Kamloops, who Nourishing Gourmet secured a partnership with earlier in the year, the lambs were raised naturally on organic grass pastures only being fed non-medicated & non-GMO grain products. 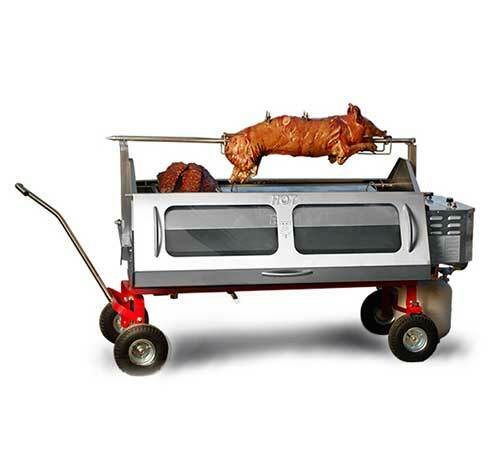 With this kind of care for the meat it makes our jobs as wedding caterers that much easier! We served these beautiful pieces of meat with a from-scratch, rosemary gravy that used the lamb drippings. In addition to lamb we also prepared some paprika herb roasted chicken for the wedding buffet. 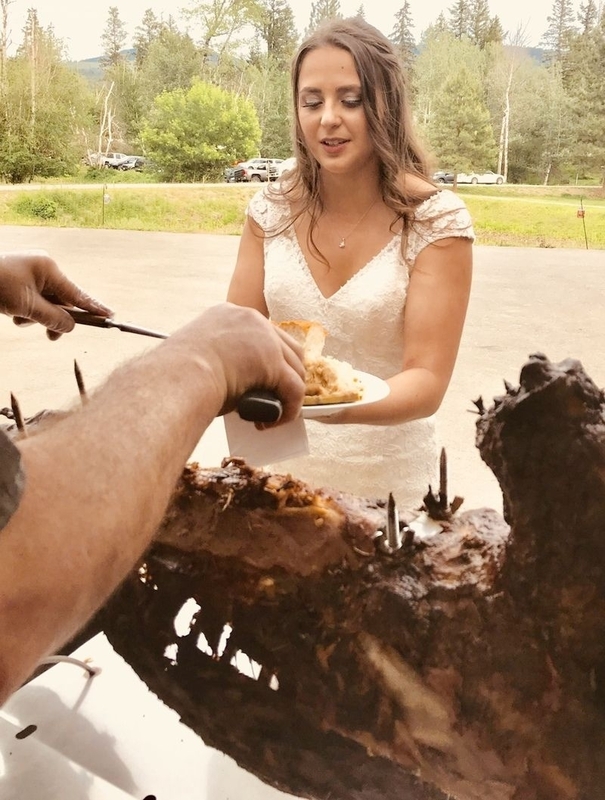 The beautiful bride being served by our chef. The buffet at the wedding banquet. The star of the show here was clearly the roasted lambs, but without the perfect side dishes what really is a meal? We served basmati rice pilaf with fresh mushrooms & thyme, roasted potatoes with herbs & lemon, and a seasonal medley of vegetables in a honey dill butter. 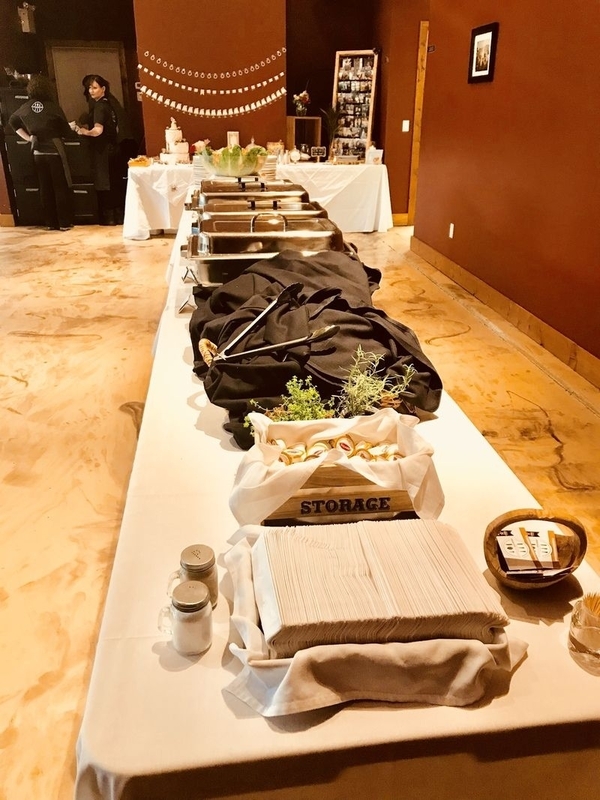 The meal was also served with house caesar salad with a homemade dressing, mediterranean pesto pasta salad & our classic organic, house green salad with a trio of from-scratch dressings! To sop up all the delicious lamb gravy, we provided fresh-baked butterflake rolls and hand-pulled herb & garlic focaccia bread served with whipped butter. 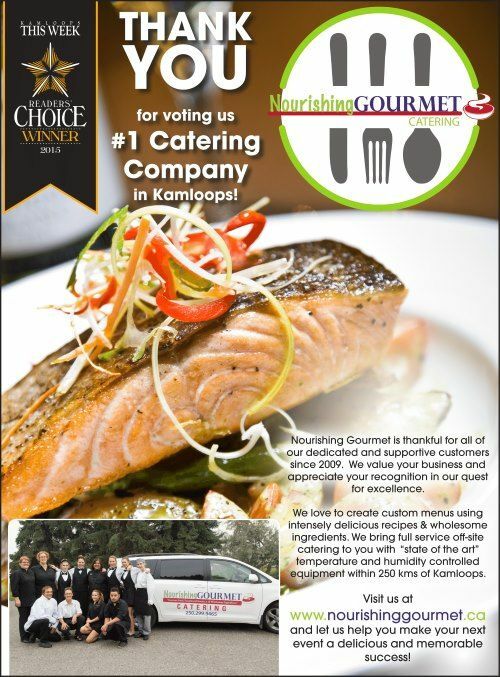 Our team at Nourishing Gourmet is proud of the work we do catering Kamloops weddings. Our Wedding Buffet Menu is full of delicious meals for you to choose from. We are able to customize ingredients to cater to food restrictions, but you can always trust that we will use many seasonal, local, and organice ingredients. We had a great experience with Emily, Aksel, and their guests! Check out some more of our work on our Testimonials and Events pages! You can also learn more about us and contact us to ask more questions about your upcoming wedding!